Hello! I am Kim and I am your hostess this week. Welcome to another great La La Weekly Wednesday Challenge! We are on challenge #23 already! 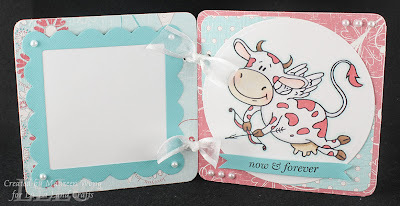 Boy, time sure flies when we are having fun with all the super adorable images at the happiest stamping place, La La Land Crafts! Did everyone have fun with last week's Fancy Folder challenge? I sure did and all our DTs had a blast checking out all your beautiful creations! Thank you so much for playing along with us! You all sure rock each week's challenge! 1) Create a NEW card for the challenge. You are more than welcome to combine challenges! why not show them some love?! by Monday, February 1, 2010 at 11:59pm PST (GMT-8). 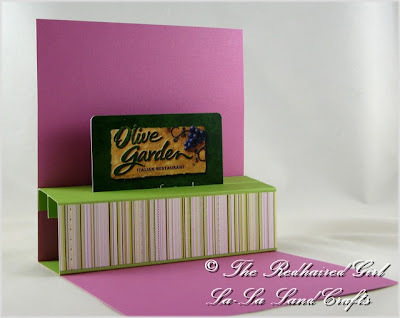 4) Be sure to link directly to the blog or gallery post featuring your entry! 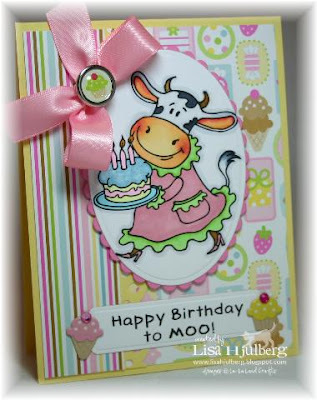 5) If you post your card on Splitcoaststampers, please use keyword: LLWWC23. 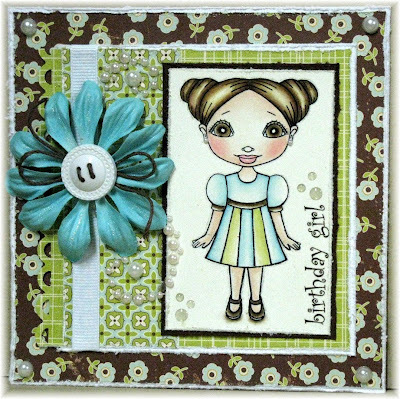 If you are also using a stamp from La-La Land Crafts, please use BOTH keywords LLLC and LLWWC23. 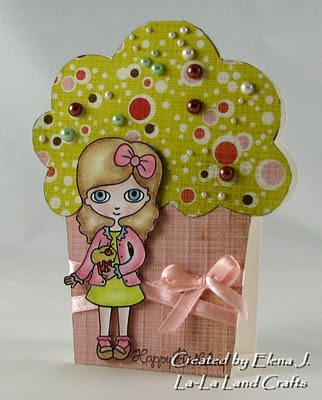 and.......one lucky winner will win BIRTHDAY CAKE LALA! To get you started, here are some inspirations from our DT and GDT. Oh, my the way, if you don't know yet, we have a special going on at our online store right now! For every three stamps you purchase from now to January 30, 2010, you get a FREE FOURTH stamp of your choice! Don't miss this awesome deal so hurry, place your order today!!! Edited to Add: If Mr. Linky is hiding, please leave a comment with the link to your entry instead. Thanks! 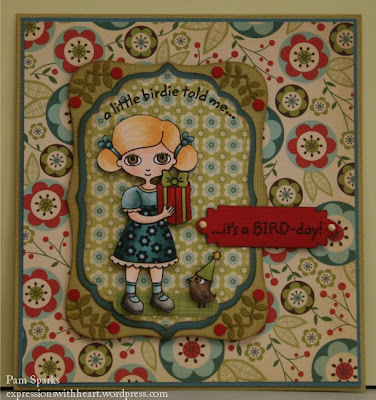 Gorgeous Easel card by Erin - look at all of the layering and distressing! 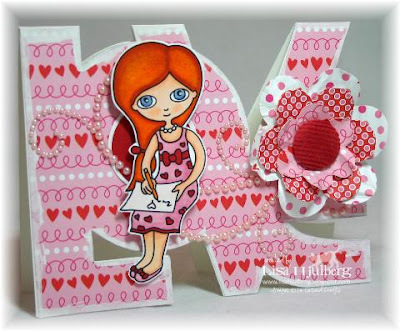 Fairy Valentine Side-Step card by Renata - love all the dimension and depth she created! 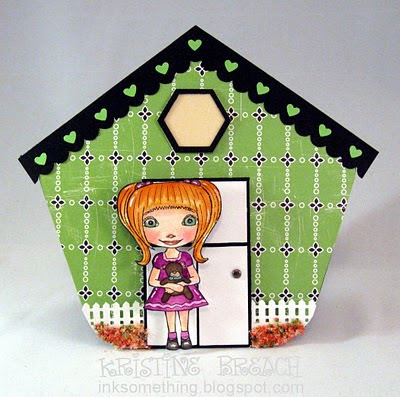 And what a sweet Stair-Step card by Adrina - love the cute puppy and all the hearts! 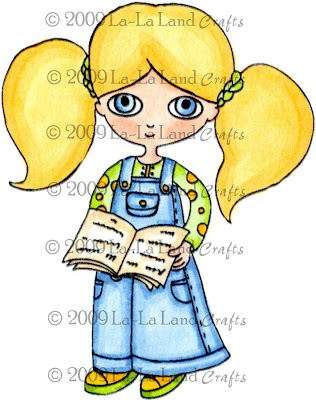 Adrina, you are also the winner of the prize for this challenge - Rosie With Book! Congratulations to all of you Ladies! Please e-mail Irina for your Top 3 button. Thank you again for playing with us! 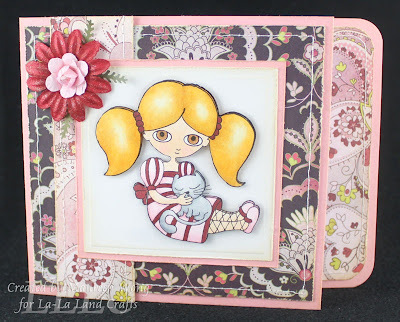 Please, come back tomorrow for our new La-La Land Wednesday Weekly Challenge! Hello! 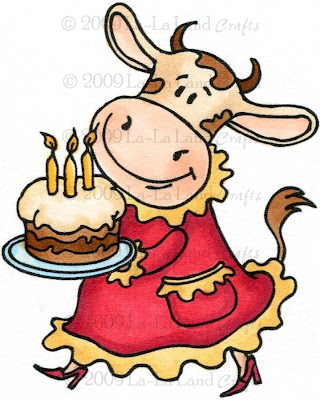 Today is a very exciting day in our La-La Land family; today is Kathy’s Birthday! Happy Birthday, Kathy!!! May your day be filled with wonderful surprises and lots of happiness! 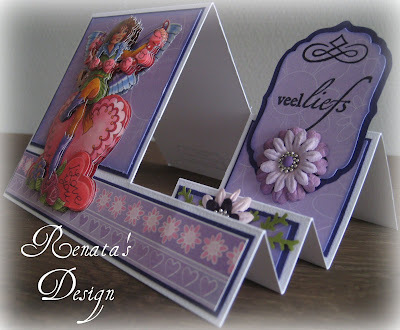 In order to make this day extra special we decided to make a special post about Kathy and showcase some of her cards. 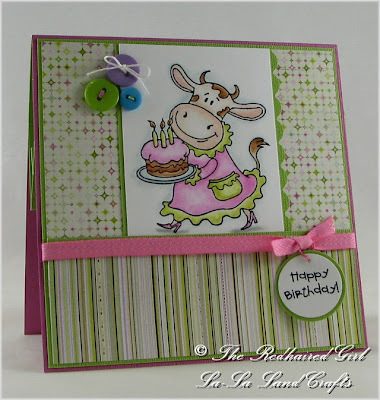 When I visit Kathy’s blog I always enjoy looking at her cards, and choosing a favorite from all of my favorites wasn’t easy. :) Her water coloring is absolutely stunning; she really does an amazing job in this technique! 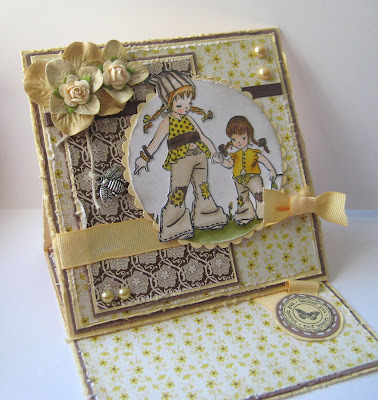 She always puts so much creativity in creating layouts – distressing, pretty embellishments, beautiful layering and perfect sentiments– that’s what makes her cards one of a kind! Don’t you just love them? Aren’t they all fantastic? 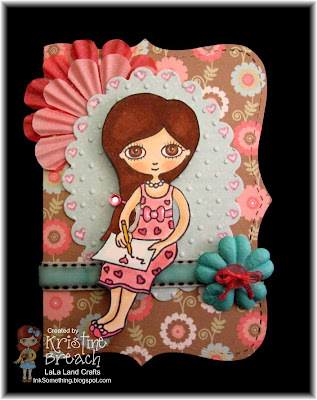 And now it’s time to visit Kathy’s blog and wish her Happy Birthday!!! Congratulations, Ladies! 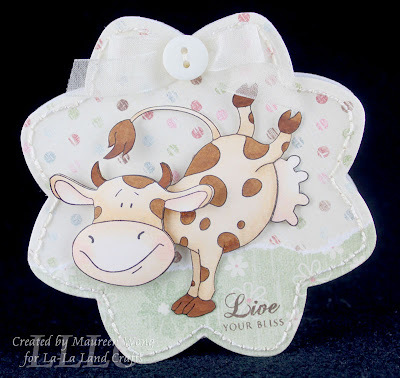 Please email Irina at info@lalalandcrafts.com for your Top 3 button! Thank you again for playing along! 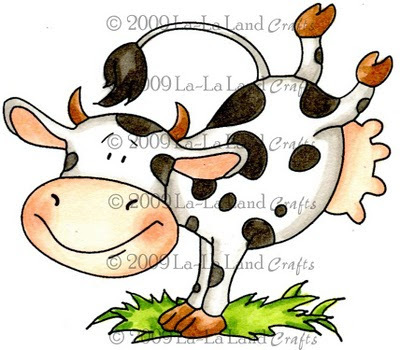 Please come back later tomorrow for our next La-La's Weekly Wednesday Challenge! They are HERE and a Special Offer!! We told you that the stamps from our new release will be available on January 20th, but they are already HERE!! You can place your orders on our website now (please disregard pre-order note, it will be removed shortly). Here is the link. And, to make this news even sweeter, we have a special offer you!!! Buy three, get one FREE!! Between now and January 30th, when you purchase three stamps from our online store, you will receive a FREE stamp of your choice!! Just let us know your choice in the Notes section upon check out!! 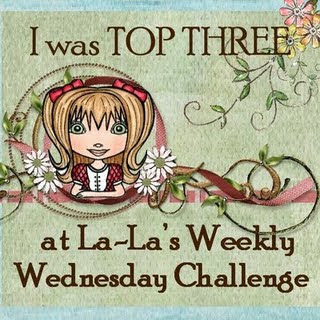 Hello everybody and welcome to another La-La's Weekly Wednesday Challenge! It's Maureen and I'm your hostess for this week's challenge! 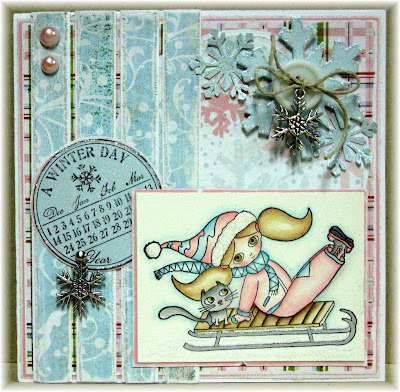 Before I get to the challenge, I'd like to thank everyone who played in our Blog Hop last week! 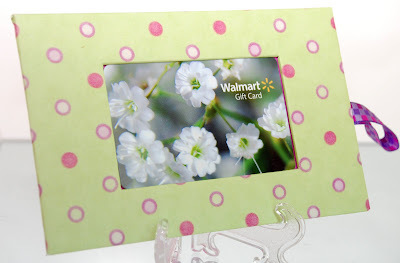 Don't forget to check each blog to see if you won a prize! 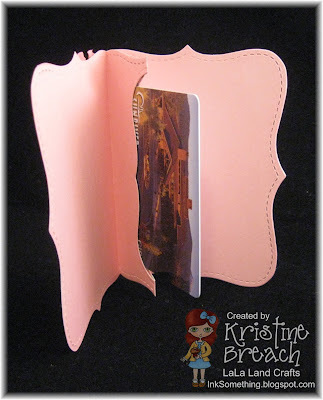 For my challenge, I would like to see shaped cards - any shape other than a rectangle or square. by Monday, January 18th, 2010 at 11:59pm PST (GMT-8). 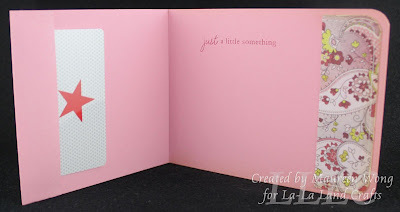 5)If you post your card on Splitcoast stampers, please use keyword: LLWWC21. 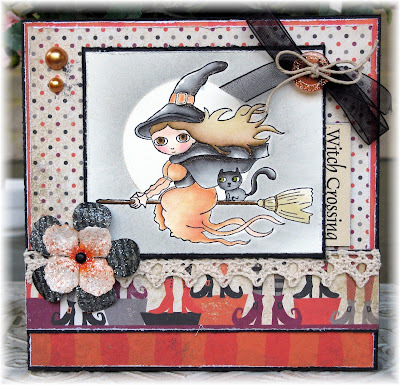 If you are also using a stamp from La-La Land Crafts, please use BOTH keywords LLLC and LLWWC21. We hope you'll play along with us! 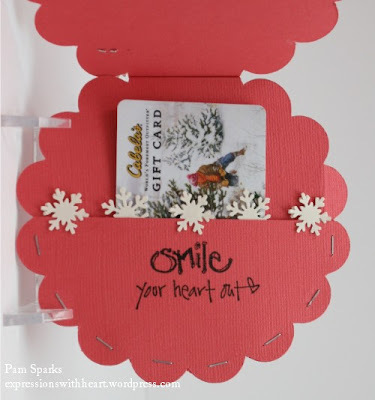 I can't wait to see all of your shaped cards! 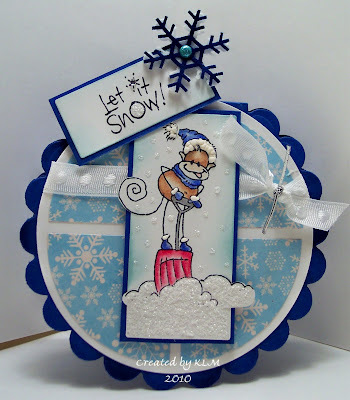 I hope you have enjoyed our INTO THE NEW YEAR WITH THE NEW RELEASE Blog Hop.. 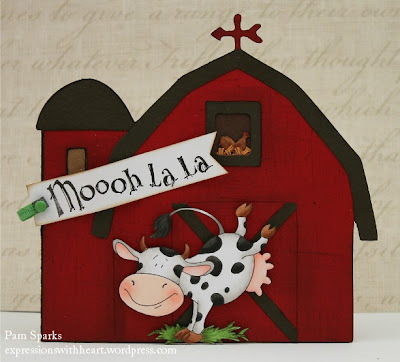 I know all of us here at La-La Land Crafts had fun!! We appreciate all your comments!! 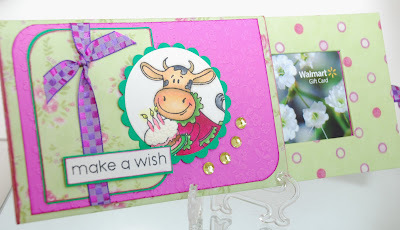 Before announcing the winner, I would like to show you all the gorgeous cards from our Design Team and the Guest Designers.. just in case if you missed the Blog Hop..
Now.. onto the winner of the Blog Candy!!! 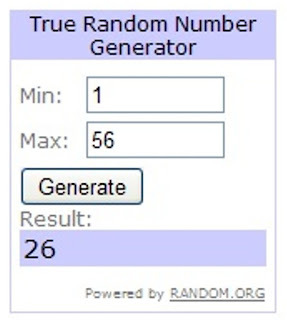 I used random.com to generate the winning number.. 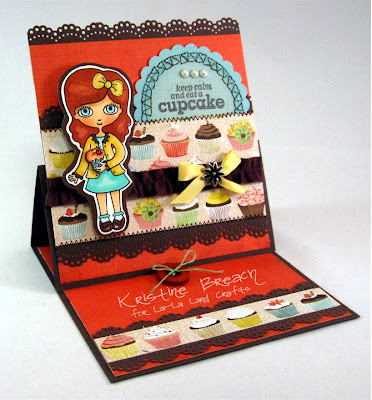 This was my first ever blog hop and it was sooooo much fun! 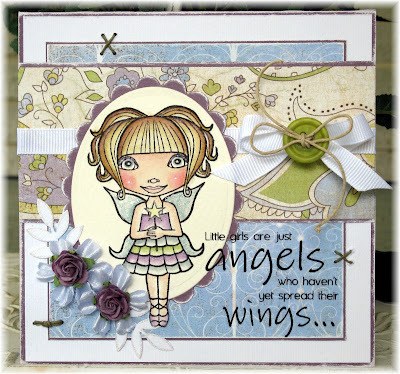 Every single card was inspiring and each stamp was used perfectly. Out of all the stamps, Lotus is my absolute favorite. She reminds me of my daughter. 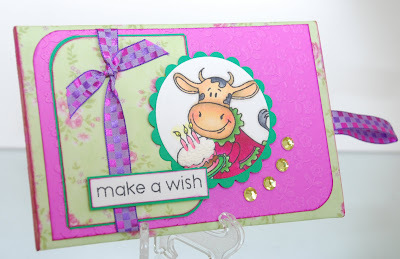 Thanks for an uber fun blog hop and a chance to win these beauties!" 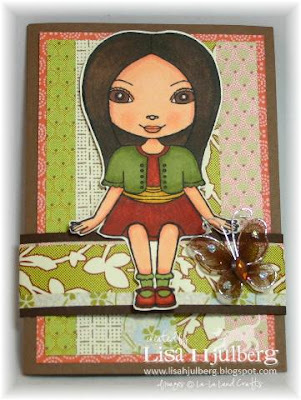 Sandra, please email me your mailing address to receive Lotus, the stamp of your choice! !